After almost 30 years of medical cannabis, recreational use was legalized in 2016. Two years later, many users continue to opt for a California marijuana card. Why? That’s right. Recreational cannabis legalization doesn’t mean you can get marijuana anywhere. In fact, 332 California municipalities ban all commercial cannabis activities. That means many users are faced with the choice of applying for a cannabis card or finding other means of getting it. Luckily, NuggMD makes applying for a MMJ card a cinch! As of July 2018, 14% of CA municipalities allow recreational cannabis storefronts; 19% grant recreational cannabis deliveries; 20% permit MMJ storefronts; and 32% authorize MMJ deliveries. With numbers like these, the best way to buy marijuana is with a medical cannabis card. This is where it can get confusing. 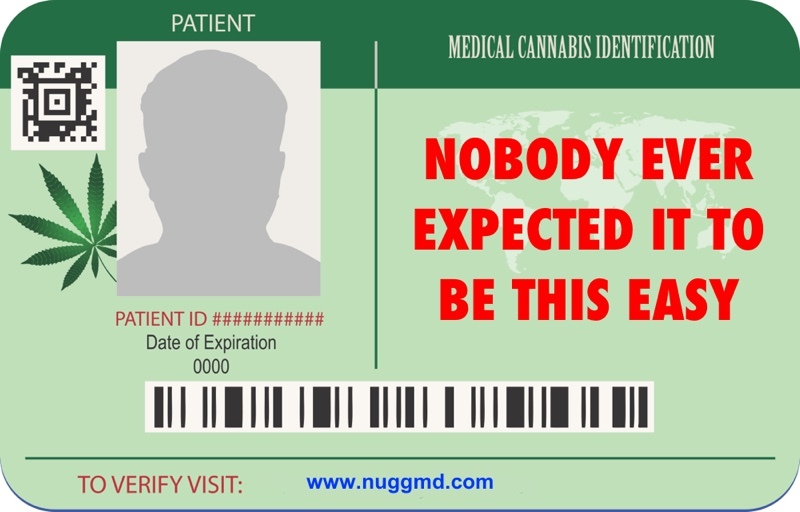 A MMIC, or medical marijuana ID card, is part of a statewide database that registers medical cannabis patients. The point is to verify them quickly and easily while maintaining privacy. New regulations require MMICs to follow HIPPA privacy procedures, the same as any other medical doctor or hospital. It’s important to know that most medical marijuana patients never get their MMIC. Most choose a cannabis recommendation since it offers many of the same benefits without having to register in any databases while still complying with HIPPA regulations. It’s important to know the benefits that medical cannabis offers compared to recreational. A MMIC exempts you from cannabis state sales tax (some local sales taxes too). Purchase limits are less restrictive. Legal possession limits are much higher. Legal protections are still stronger. Medical dispensaries can only give free cannabis to MMJ patients. Some municipalities allow medical cannabis patients to grow more. What’s the main difference between a MMIC and a doctor’s MMJ recommendation? MMIC patients are registered in a statewide database while it isn’t required with a cannabis rec. Nonetheless, they both provide legal protection that isn’t granted to recreational users. Just don’t carry or intend to distribute massive amounts of marijuana because neither certifications will help you. NuggMD, the country’s leading telemedicine provider, has removed the hassle of finding a registered cannabis doctor by bringing one to you from your smartphone or laptop. The average NuggMD patient spends 15-20 minutes on the evaluation process, though take as long as needed. Their dedicated doctors help potential and current medical cannabis patients understand and become comfortable with all aspects of medical marijuana. Once certified, it costs a mere $39 for the MMJ rec or $59 for a cannabis card and recommendation. In addition to doctors, they provide everyone with free access to a cannabis concierge. He or she will answer questions and suggest products for your condition(s), how to use them, and where to find them near you. Now why would you pass up the savings, security and personal care for so little? Set aside a few minutes today to get your cannabis card online!